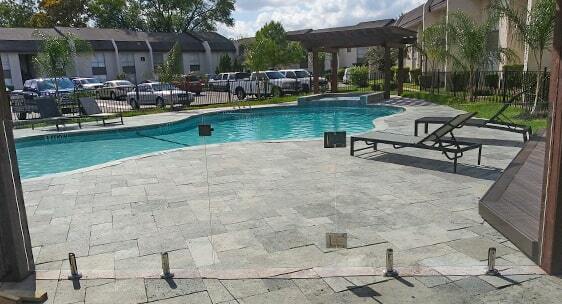 Woods of Spring Grove is a resort-style gated community right outside the heart of Houston, TX. The community prides itself on their outdoor amenities. They wanted to make sure their pool area was just as lovely as their outdoor kitchen pavilion and barbeque facility. We installed our most popular design, the completely frameless glass pool fence. With polished surface mounts to tightly secure the panels and our high-end gate system, the property owners are up to city code and residents can sleep soundly knowing children cannot enter unattended while still being able to view the beauty of the water and courtyard.